The TOGAF 9 Level 1 and Level 2 course is a 5-day, interactive, classroom-based learning experience. The course covers curriculum of both Level 1 and level 2. The Foundation level content enables participants to successfully complete the associated TOGAF Level 1 exam, known as TOGAF 9 Foundation. The certification provides validation that the candidate has gained knowledge of the terminology, structure, and basic concepts of TOGAF 9, and understands the core principles of Enterprise Architecture and TOGAF. 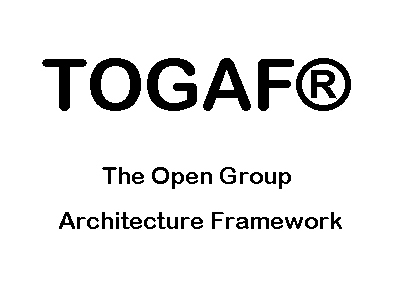 The TOGAF 9 Level 2 content focuses on the practical application of TOGAF™ 9 framework, building on the foundational knowledge and comprehension of Level 1, using practical scenarios to enforce concepts. Participants receive a copy of the classroom presentation material and the Student Handbook, which contains Reference Material. There are two possibilities for taking the exam. The candidate can take the Level 1 and Level 2 exams separately, or take the combined exam. The exam is a proctored exam – a proctor needs to be registered prior to taking the exam. The exam is in closed-book format, and includes 40 multiple-choice questions. The pass score is 55% (22 out of 40 questions). The exam lasts for 60 minutes and can be taken onsite (online) or through Prometric test centers. The exam is in open-book format, and includes 8 complex multiple-choice scenario-based questions. The exam lasts for 90 minutes and can be taken onsite (online) or through Prometric test centers.